Summer may be winding down but our favorite stars are not slowing down when it comes to their style. From Zendaya to Chanel Iman, here are the celebs whose style wowed us this week. Tracee doesn't even have to stand up for us to know this yellow jumpsuit is fierce. Yara's black and white ensemble is definitely a good style moment. 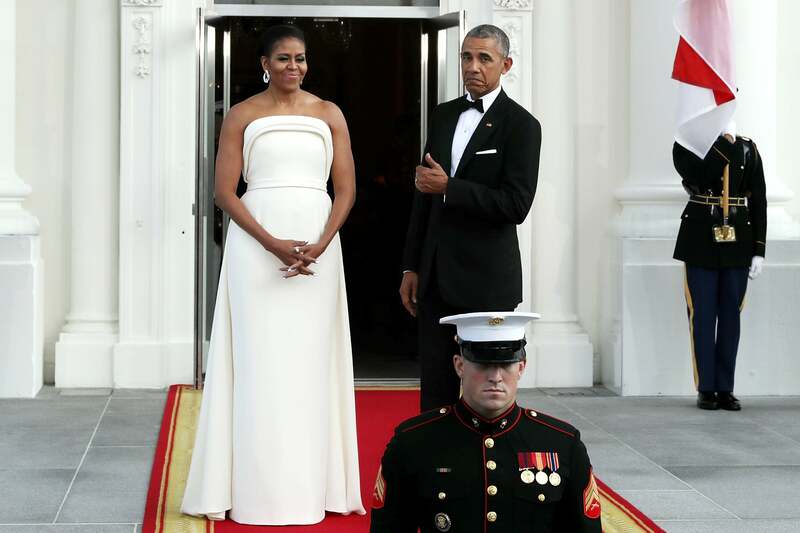 Even President had to give props to this breathtaking Brandon Maxwell gown. Jasmine is killing this neutral cut-out dress! Werk! Hannah Bronfman is cute and the epitome of summertime vibes in this floral frock. Chanel Iman slayed this carnival look. Enough said. June is easy, breezy in this gorg floral peace sign frock, pearl encrusted sandals and straw hat. Chic! We're so here for the color and intricate printing on this look. Garcelle Beauvais stunned in this floral print lace dress. Yasss! Kat Graham goes for a playful graphic printed frock. Love it!